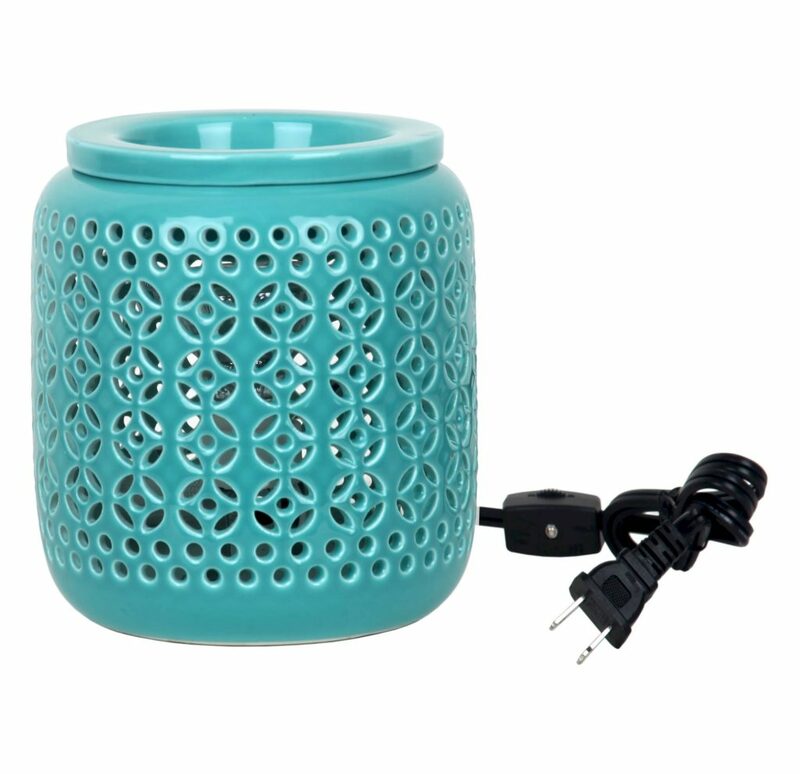 Add aromatic fragrance to your home without lighting a candle when you use this Turquoise Electric Fragrance Warmer from Home Scents by Chesapeake Bay Candle. As the warmer heats up, it will melt the wax cubes or discs of your choosing, releasing the fragrance into the air. While in use, light glows through the cutouts of the patterned ceramic warmer. $16.99. Buy here. Endulge yourself with this Barr-Co. Marine Soap Shop Beauty Set that’ll do it all. 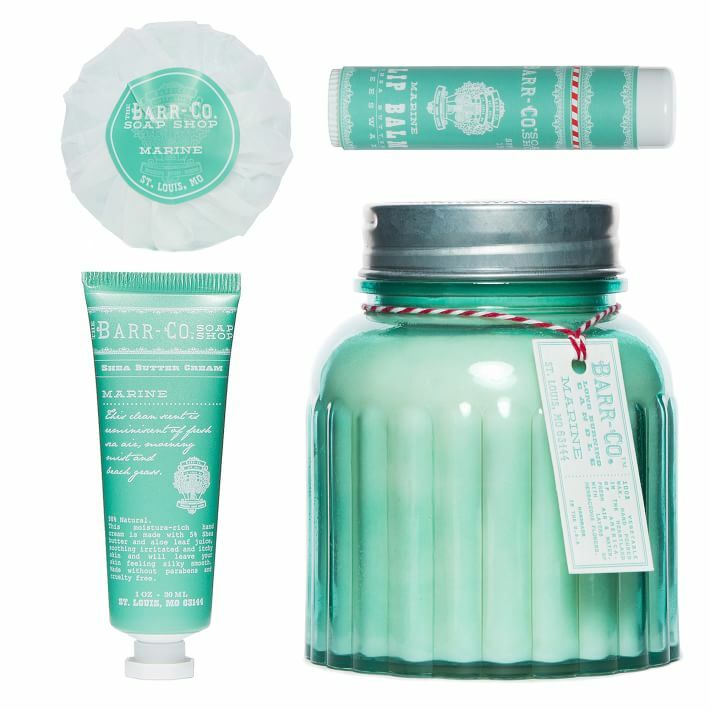 Complete with a rich hand cream, ultra-hydrating lip balm, fizzy bath bomb and pure soy candle, this set from Barr-Co. is perfect for giving yourself a little spa time. $69. Buy here. 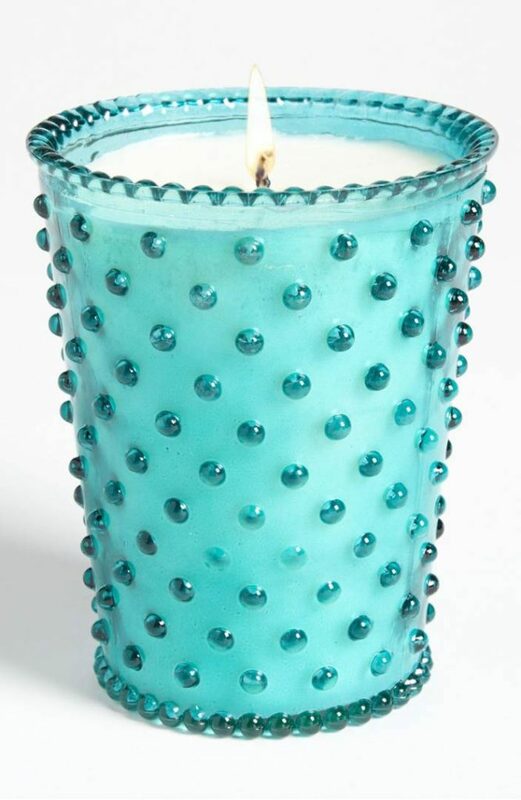 This Hobnail Glass Candle features dainty dots that bring antique charm to a hand-poured candle crafted with a cotton wick for a clean burn. $32. Free shipping. Buy here. 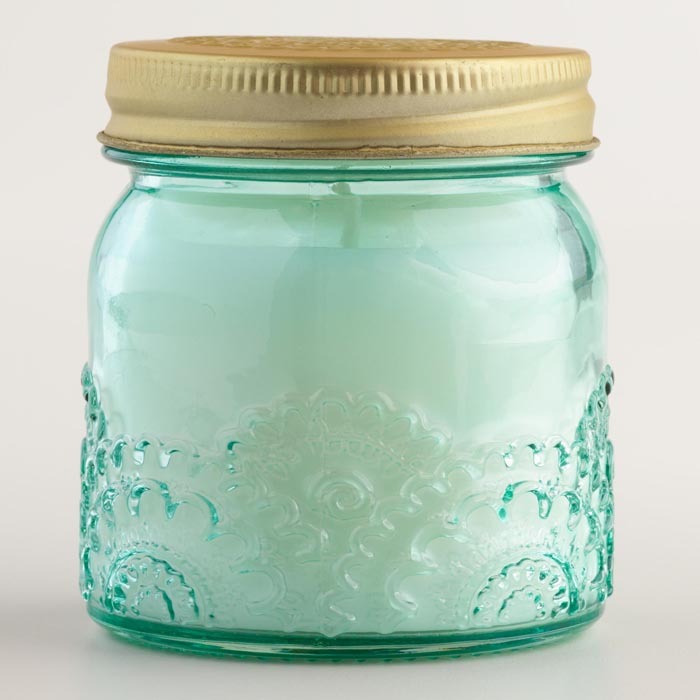 A dreamy, watercolor-hued jar enhances the glow of this fragrant Capri Blue Watercolor Jar Candle hand poured in the USA. Features a blend of tropical fruits and sugared citrus. 19 oz. $32.95. Free shipping. Buy here. 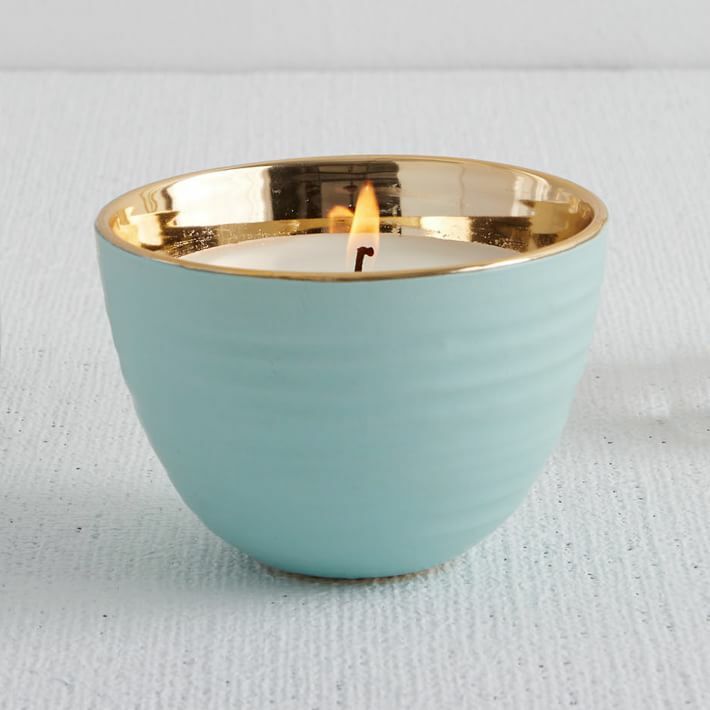 This Turquoise Posh Pot French Linen Two-Wick Glazed Pottery Candle features a clean and fresh scent that blends soft notes of light orchid with sun-dried cotton and hints of powder. 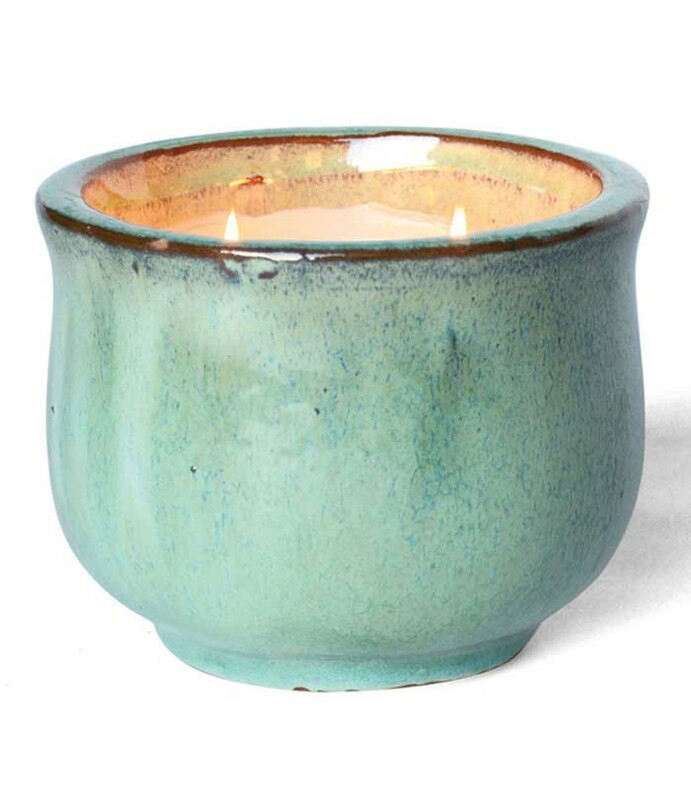 The earthenware clay pot with a soothing greenish blue glaze can be repurposed after candle is finished. $28. Buy here. 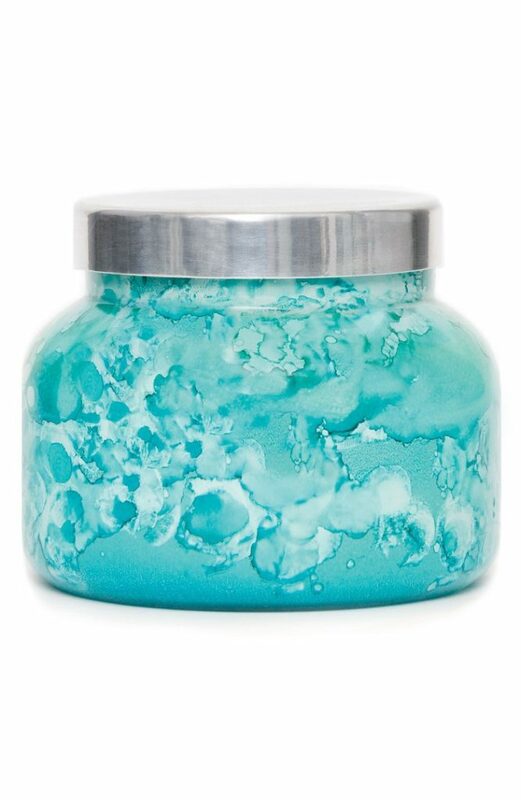 This fragrant and floral embossedÂ Aqua Jasmine Lotus Floral Stamped Jar Candle with a stamped lid combines the delicate floral scents of jasmine and lotus with a soothing aqua blue hue, perfect for adding charm to a countertop or table. $8.99. Free shipping through 12/19. Buy here. 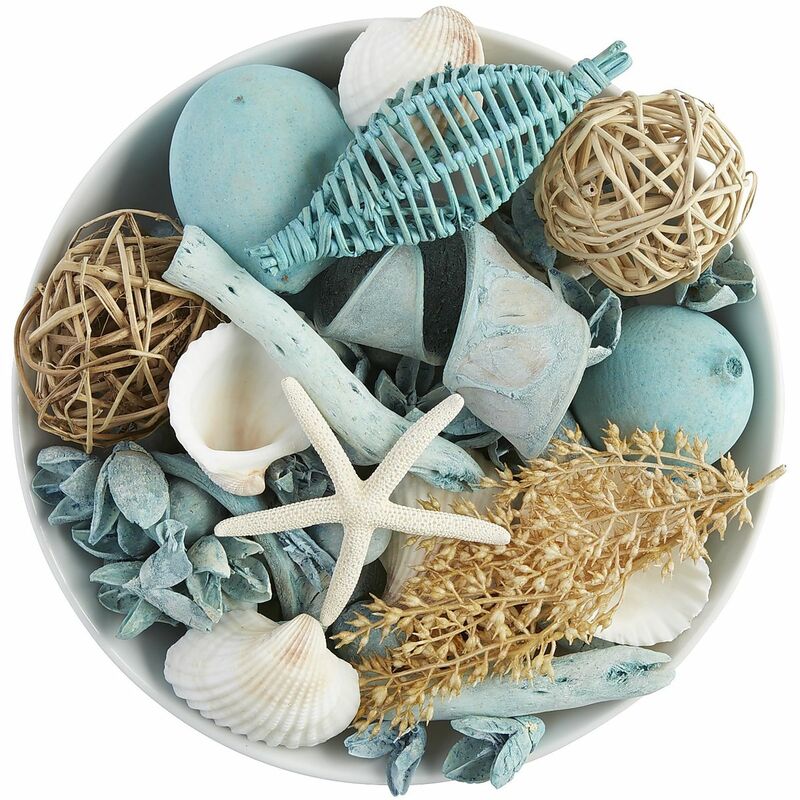 ThisÂ Sea Grass Potpourri features a coastal blend of palm leaf, marine air and sun-ripened melon mingled with dune lily, fragrant jasmine and sea mossâ€”all in a colorful mix that fills a room with fragrance. $18.95. Buy here. 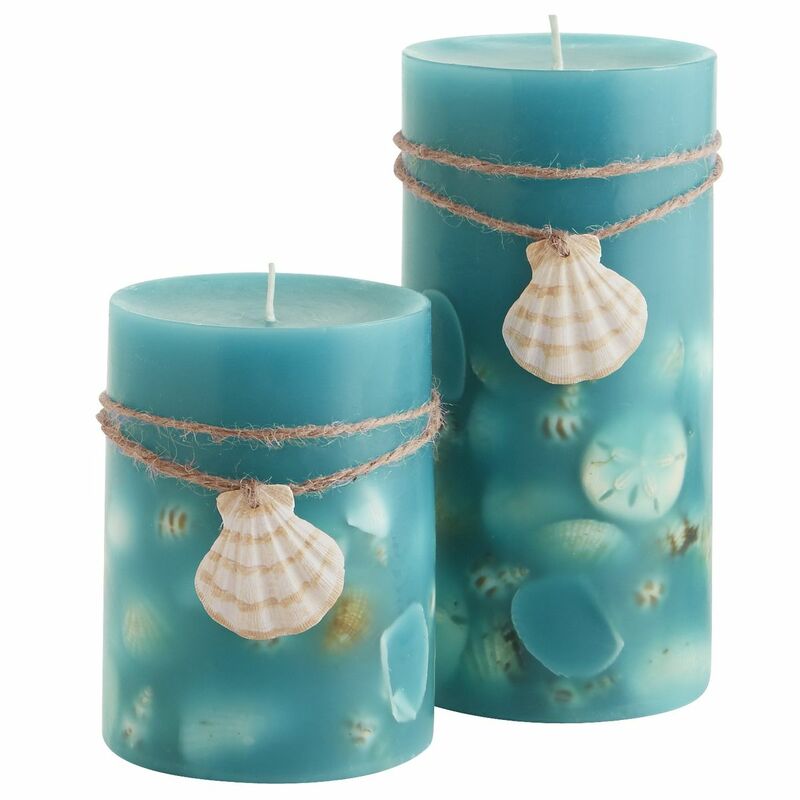 Infuse your room with a tranquil mix of jonquil, fresh marine ozone and just a hint of precious woods all in these striking Oceans Shell Pillars adorned with natural shells. $10.95-$12.95. Buy here. 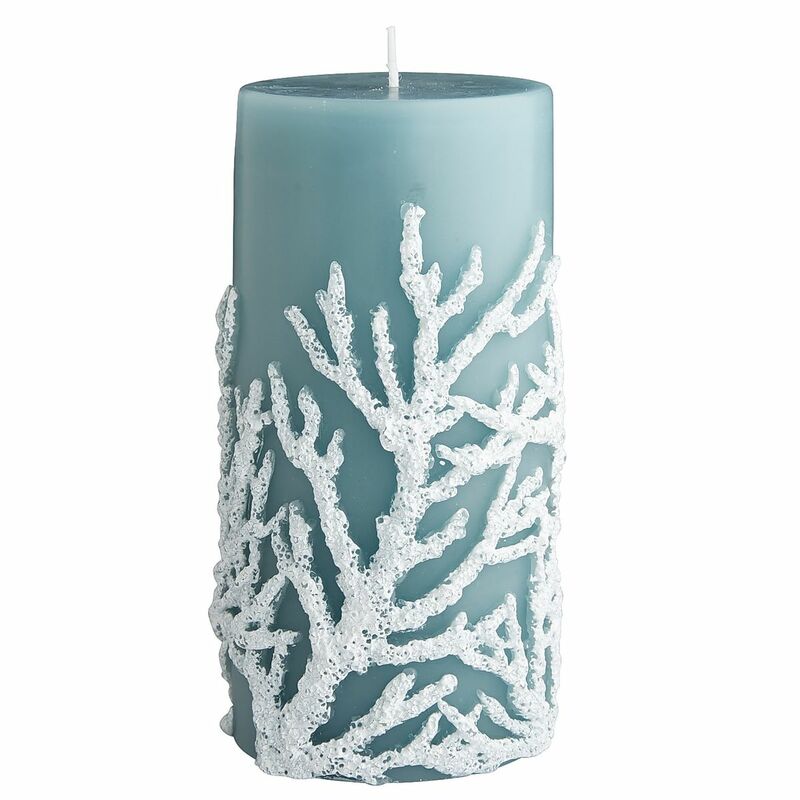 Enjoy a coastal breeze even when youâ€™re far inland with our an isle-inspired blend of tropical jasmine, white lilac and gardeniaâ€”and just a splash peachâ€”all in this fragrantÂ Sea Air Decorative 3×6 Pillar Candle sized to fit your favorite candleholder and pillar stand. $15.95. Buy here. 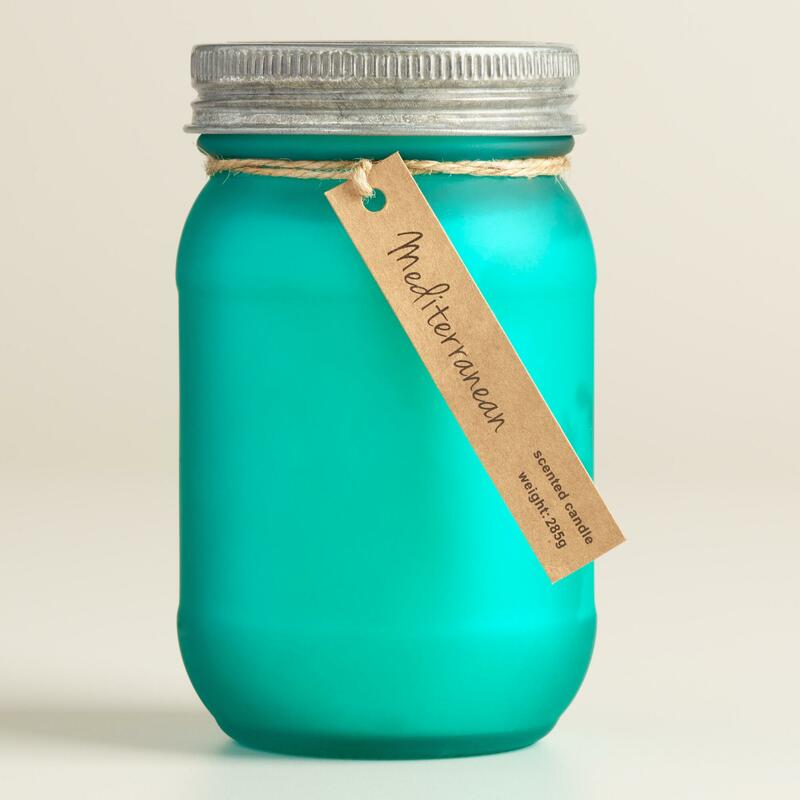 This Paddywax Cafe Jar Candle is a soy wax blend candle housed in a glass vessel with a metal lid. 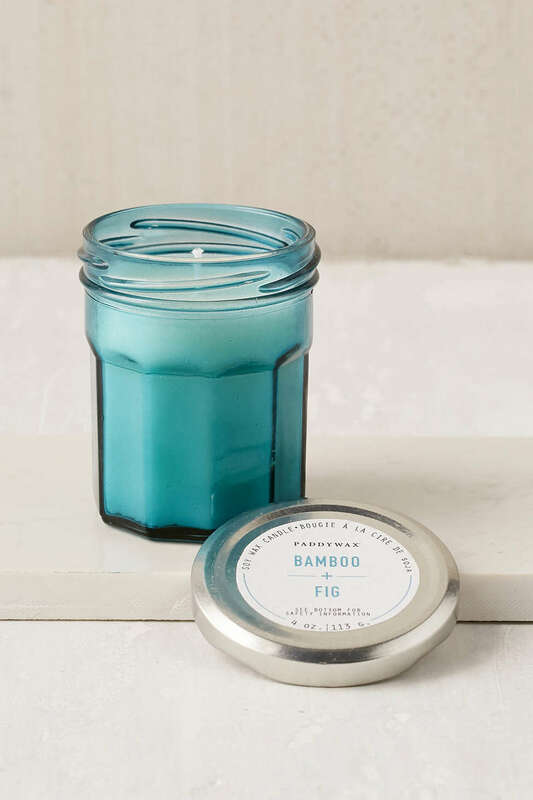 Available in scents we love, this candle is made from all-natural materials + is hand poured in Nashville, Tennessee! $14. Buy here. This Naturalist Homescent Sea Ceramic Candle features notes of airy ozone, jasmine petals and sandalwood, filling the room with a fresh, watery scent. Burn time up to 50 hours. $29. Buy here. 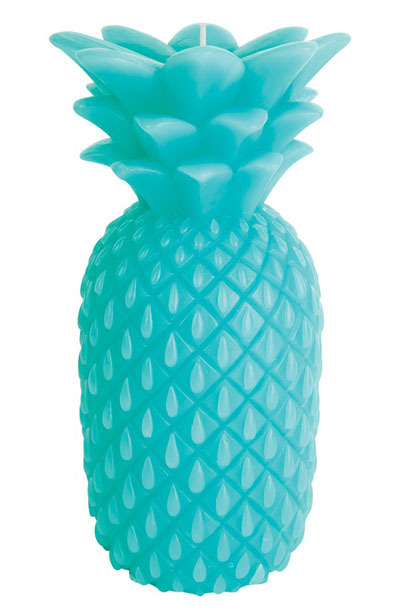 The pineapple-scented Turquoise Large Pineapple Candle from Sunnylife can be used as table decoration for any occasion, but would be particularly fitting for tropical or Hawaiian themed parties. Sprinkle them through your garden or along the entry path to your home.Â $34 Sale $16.97. Buy here. 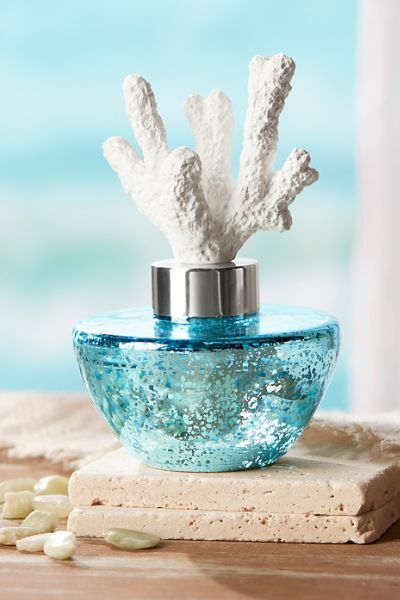 Recalling sun-filled days spent lounging along the seashore, a gorgeous piece of ceramic coral perches atop the beautiful, aged aqua glass vessel of this At Home Beach Diffuser. 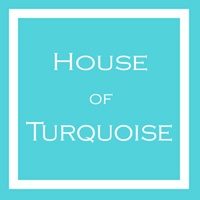 The Beach House scent features sparkling Pink Grapefruit mingled with contrasting notes of warm Amber. Bursts of fresh citrus, tart Lemon, juicy Lime and Green Florals. 3.38 fl. oz. $59.95. Buy here. 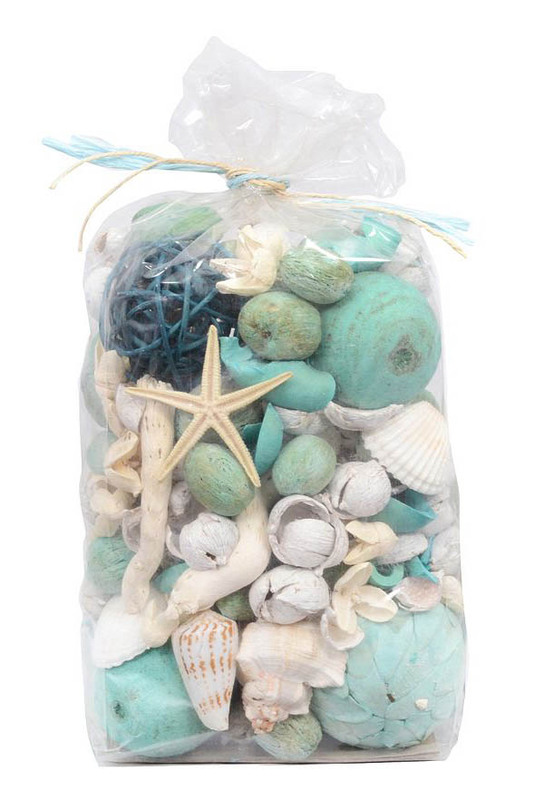 Invite the ocean into your home with this refreshing Aqua Coastal Potpourri featuring a sea breeze scent. $24.99 Sale $12.49. Buy here. 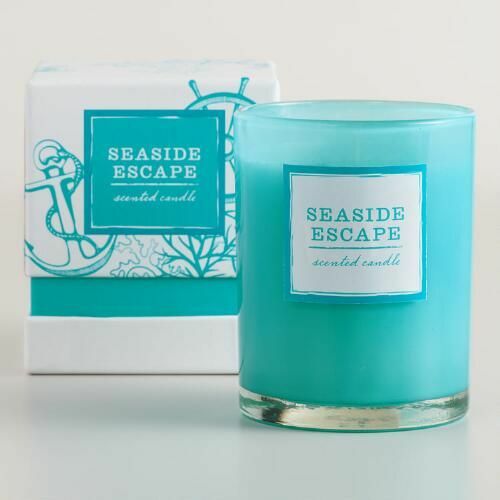 With a refreshing scent that hints of the ocean breeze, thisÂ Turquoise Seaside Escape Boxed Tumbler Candle comes boxed and ready to gift. $12.99. Buy here. 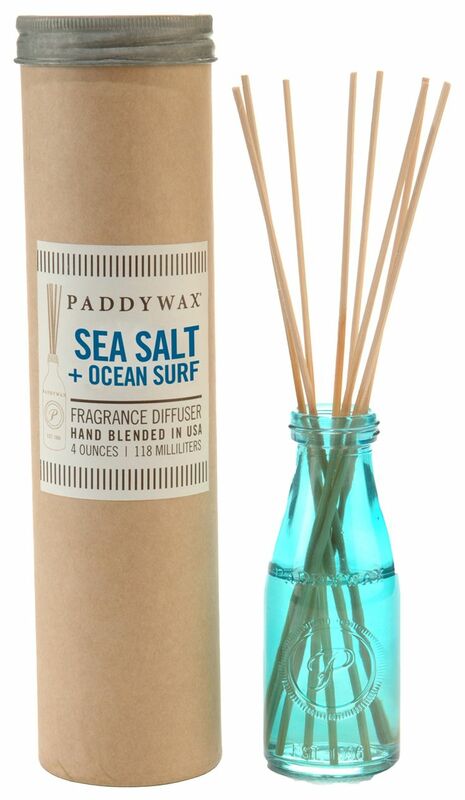 This Paddywax Aqua Sea Salt and Ocean Surf Oil Diffuser Jar includes vessel, natural reeds and 4-ounces of high-quality fragrance that can last up to 4 months. The Aqua Sea Salt and Ocean Surf scent is created with all natural fragrances. Made in the USA. $31.20 Sale $27.30. Buy here.